Your Virtual Human Resource Team. One-stop solution for your employees attendance, payroll and leaves management. Automatise your HR needs, and make every day count. Digemp is very easy and simple to use app. Simple design along with help, and tour guides almost 99% of customers are able to use the system without any customer support. Digemp enables employers to track employees attendance in real-time, see who is working and who is on leave. Generate reports in few simple clicks. Our customer support is available to help you at all times, our in-app real-time chat service enables us to respond to your questions instantaneously. Our system enables employers to generate employee’s payroll reports within seconds. Whether you have hourly payroll or salaried employees, we have got you covered. 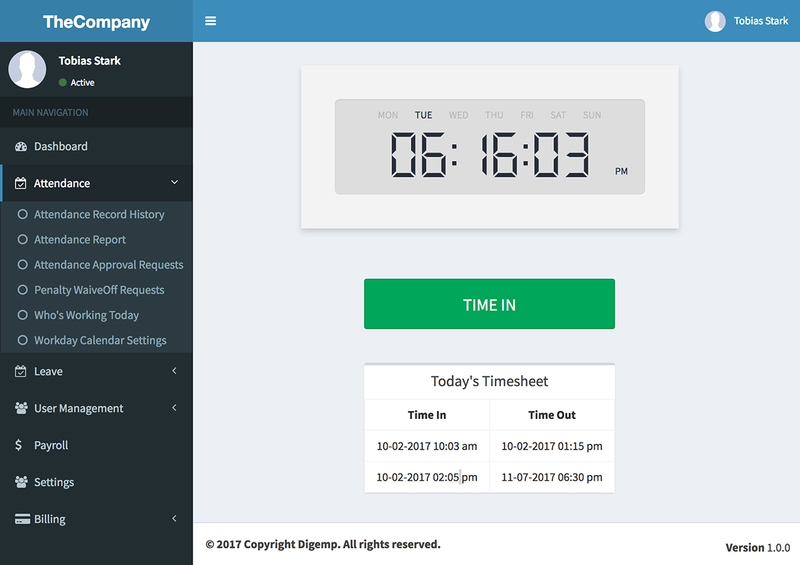 While Digemp app seems quite simple and easy to use, employer can setup their custom business policies like annual / accrual leaves, hourly / salaried payroll, core hours, overtime and double-time and more in few simple clicks. Digemp is easily accessible on desktop, web and mobile app from anywhere anytime. Our app is secured with SHA-2 Enabled SSL. Our servers are in compliance with ISO 9001, ISO 27001, SOC 1, PCI DSS Level 1, HIPAA, U.K. DPA – 1998. Time is money and with our simple and easy to use system, you can save hours of time in manual calculation. Mistakes are costly, with our app employers can generates precise and accurate reports, reducing the chances of errors close to 0%. Employees can Clock In or Clock Out from any place in the world using web or mobile app. Our app enables managers to approve or reject employees manually timesheet entries. Employers or managers can see which employees are present at work and who is coming late. Employers can customize various leave types including paid, unpaid, carryover, annual and accrual leaves. With our payroll process, employers can run payroll in few seconds. Export payroll reports in excel or pdf format or send employee’s payslips in pdf via mail. Define custom rules for overtime and get overtime reports in payslip without any hassle. 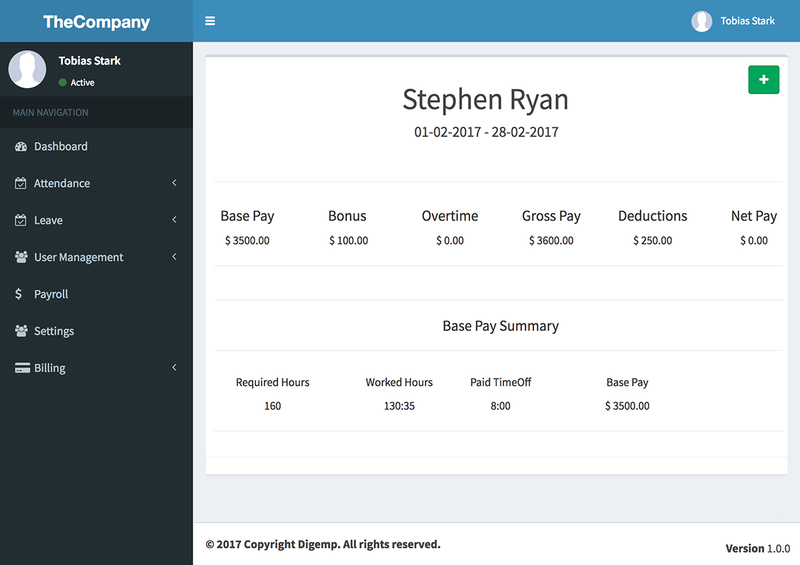 Payroll report integrated with accurate timesheets visible to employees makes the system transparent to everyone.